Perhaps one of the best-known solutions in the Binary Option trading industry, IQ Option UAE has changed its strategy in recent years. The company has begun to realize the need for a more diversified portfolio of products, particularly as Binary options have struggled to maintain a positive reputation in the market. The business model that Binary Options are based is impacted by a severe conflict of interest. As such, they’ve branched out into Forex trading, ETFs, CFDs, cryptocurrencies and many other markets too. For a long time, IQ was known among investors for their ease-of-use and attractive range of trading conditions. Fortunately, these are characteristics that the company has managed to hold onto today. Even when peers in the industry continued to demand higher deposits of between $200 and $500, IQ Option provided binary accounts for as little as $10. The spreads available on CFD and Forex products from the broker are also some of the best in the industry today. Beyond the basics of the trading interface, the IQ platform has a number of other features to consider. For instance, you can access a wide range of video tutorials through the service, which details various methods of analysis and offer tips on the workings of the platform. The charting tool selection feature also allows you to choose your set-up according to your needs. With charting tools at your disposal, you can select from Line charts, Area charts, Bar charts, and Candle charts. All of these options have their own uses when it comes to spotting chart patterns. What’s more, there are a number of graphical tools available too, including Trend lines, Fibonacci lines, simple lines, and more. There are 12 technical indicator options in total to choose from, which include the RSI, Bollinger Bands, Parabolic SAR, and the MA. If you decide to become an IQ Option trader, you should bear in mind that many of the classic analysis options won’t work within the cryptocurrency vertical. This unique asset class comes with a specific way of evolving prices. The main thing to remember with this platform is that although it may not be on the cutting edge for analysis and charting, it offersa very easyand attractive way to interact with the community and manage your trades. As mentioned above, the platform expanded their product offering a couple of years ago and has also allowed islamic accounts. Although the business continues to hold onto their binary option, they have shifted their focus into the crypto vertical as well. While the IQ website does describe the option to buy cryptocurrencies, you will only be able to purchase CFD’s based on crypto. If you do decide to explore cryptocurrency for yourself, there’s a separate section available, which features a range of 13 assets. Here, you’ll find many of the top cryptocurrencies in the market, including Bitcoin, Dash, and Monero. The CFD section of the platform, on the other hand, also offers a significant focus on cryptocurrency environment. Although, when you’re in the crypto section, all of your virtual currencies will be pairedwith US dollars. On the other hand, in the CFD section, the crypto pairs are available too. The largest option available from IQ platform is the Forex product category. This comes with access to 22 different currency pairs, ranging from exotic options to most-traded solutions. The binary options, on the other hand,is simply referred to as “Options,”and it comes with 23 tradable asset selections to choose from. Mostly, this section covers currency pairs, but there are some equities, commodities, and indices to consider too. The return percentages on the options are in the region of around 95%. However, in practice, they’re often a bit lower than this – closer to 85%. There are also Digital Options which offer special return percentages of up to 900%. Aside from the trading tools that are available to access directly from the trading platform, it also attempts to offer their clients an economic news space too. Thisis where you can highlight potential trading opportunities. Unfortunately, the news section isn’t as well updated as it could be. The partthat deals with cryptocurrencies seem to be the most up-to-date. If you need help with any form of trading opportunity, then you can reach their support through a range of toll-free phone numbers designed to suit various regions. There’s also an option to email the CAO and CEO directly. One positive feature of IQ Option is that they have always been regulated. The company acquired a CySEC license in 2014, with the number of 247/14. Thismeans that the operation is considered to be compliant with MiFID by the Cyprus SEC. In other words, IQ Option is free to offer their solution to areas across the EU economic Area. The brokerage is also registeredwith some of the most significant regulatory entities in Europe, including the FCAS in the UK, and the Regafiin France. Today, they continues to be a valuable and popular destination for trading brokerage and accounts. If you’re looking for a place to trade cryptocurrency-based CFDs, options, andforex, then this could be the place for you. Not only are the trading conditions fantastic, but the service is excellent for all products too. After all the effort that IQ Option has put into developing their strategy in recent years, it’s little surprise that the brokerage has seen significant growth. 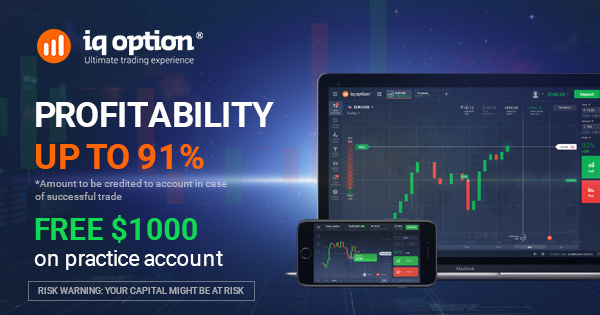 Starting from about 950,000 accounts to manage back in 2014, IQ Option grew to more than 14 million accounts within 2years. Additionally, it’s worth noting that the business is responsible for managing brokerage accounts in a massiveselection of countries. Currently, the company covers brokerage options in no fewer than 178 locations. Additionally, unlike many of their peers in the current industry, the company hasn’t jumped merely onto a mainstream trading platform like MT4. IQ retains its own in-house platform which is doing an excellent job in terms of mechanics. The trading platform also features a relatively straightforward and easy-to-use interface. Whether you download the platform or open it in your web browser, you shouldn’t have too much trouble with it. While the user interface isn’t exactly perfect, it’s still relatively enjoyable to use. The charts are easy to browse through, and you can trade your investments directly from those charts without too much complexity. Additionally, it’s possible to apply different time frames to your environment. 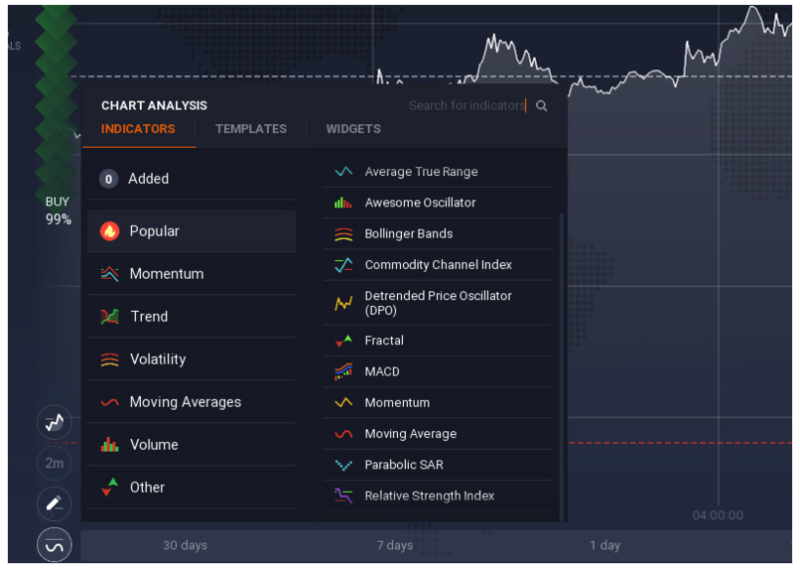 Alongside features that deliver support for the closing and opening of trading positions, the IQ Option service also gives you an in-depth view of all of your open positions, along with a Trading History solution too. There’s a blog and chat section to explore at your leisure, which is also where you can get involved with some social trading behavior.